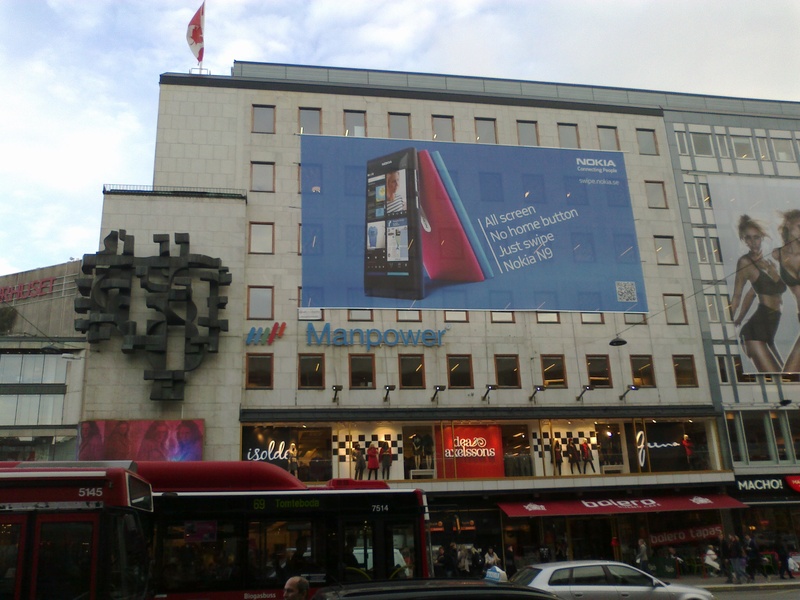 Alberto emailed us a picture of an advert for the Nokia N9 that he saw in Central Stockholm. Have you seen any Nokia N9 adverts? Come November you may see similar shaped phone, just with Windows on them.